If there is one indisputable fact of ordinary experience, it is that all things come and go. The bus arrives, picks up its passengers, and departs. Children grow up and leave home. Friends die. Yet throughout the literature of Zen we find the resonant phrase, “no coming, no going.” And over the centuries Zen teachers have often intoned that phrase, as if its meaning were self-evident. For most people, I suspect, it is not, but it can sometimes be intuited through direct experience. 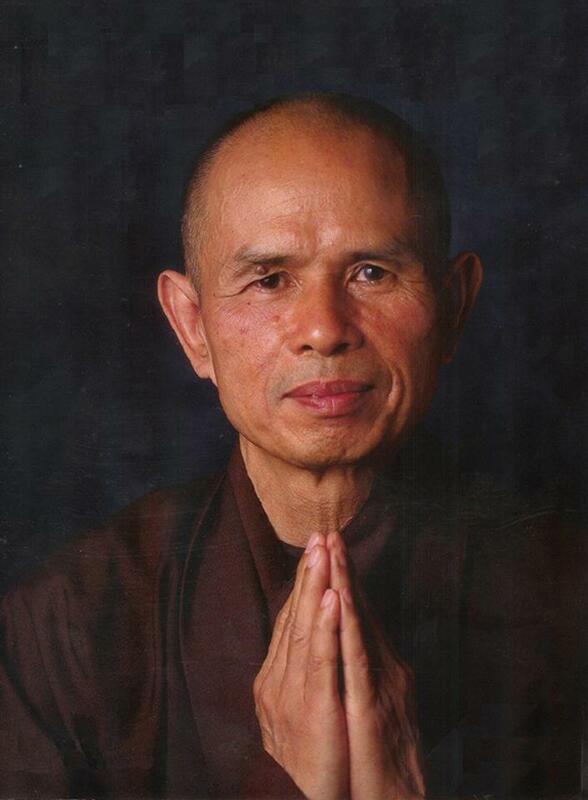 With that aim in mind, I would like to offer a simple, twenty-minute exercise, drawn from the teachings of Zen Master Thich Nhat Hanh. This exercise consists of four gathas, or meditative verses. If you wish to explore the exercise, I would recommend that you record the gathas, leaving silent, four-minute intervals between them. Or, if possible, sit with a group, and appoint one member to recite the gathas. If you have a small bell to ring before each of the gathas, so much the better. Begin by assuming a stable, upright posture, either on a cushion or in a chair. Take a deep breath and gently release it. Take another and do the same. Then relax, letting your awareness settle into your lower abdomen. Feel your belly rise and fall, as your breath flows into and out of your body. When your mind is calm, and you are fully present, proceed to the exercise. Aware of my in-breath, I breathe in. Seeing my in-breath no longer there, I breathe out. Silently recite this gatha, and all subsequent gathas, at least ten times. You may find it helpful to abbreviate the language: aware of in-breath; in-breath no longer there. Maintain full awareness of breathing, noting the points where your in-breath begins and ends. As you practice with this gatha, view the beginning of each inhalation as a birth and its end as a death. Note that your breaths vary in depth, length, and texture. Closely observe these changes, but do not interfere with your breathing. Seeing my in-breath born from conditions, I breathe in. (Birth of in-breath conditional). Seeing my in-breath die from conditions, I breathe out. (Death of in-breath conditional). By focusing attention on your ever-changing breath, this gatha heightens your awareness of its conditional nature. Here the primary condition is the state of your respiratory system, specifically your lungs. If they are not yet full and are functioning normally, your in-breath can continue. If not, your in-breath must end. This is, because that is: your in-breath depends upon causes and conditions. It is not a separate entity. To cultivate this recognition, acknowledge that there is no place in space from which your breath comes and to which it returns. When conditions are sufficient, it manifests; when they are not, it remains in hiding. By acknowledging as much, and by exploring that recognition, you can touch the unconditioned realm of your experience. In classical Mahayana teachings the conditioned and unconditioned aspects of our experience are known, respectively, as the “historical” and “ultimate” dimensions. They are likened to a wave and the water of which it is made. The wave is born, endures, and dies; the water abides. Over time we can come to see every event in our experience—every breath, sensation, thought, and mental formation—as both wave and water, empirically existent but fundamentally empty of a separate self. And we can learn to balance those two views of reality, allowing neither to dominate the other. That is the work of a lifetime, but it can be enabled by this exercise, which Thich Nhat Hanh regards as “one of the most wonderful practices of meditation in Buddhism.” What I have presented here is an abbreviated version of a much longer exercise, which you can find in Thich Nhat Hanh’s The Blooming of a Lotus (Parallax, 1991). Over the years I have often returned to this exercise, and I have found its cumulative influence transformative.